Buckle up your friends and family and head down to the State Fair of Texas to get up close and personal with the latest Ram trucks, including the 2019 Ram 1500 Rebel 12 and the 2018 Ram Heavy Duty Rodeo Edition. If your lifestlye requires a heavy duty truck with style and luxurious features, you’ll want to see the recently revealed 2018 2500/3500 Heavy Duty Longhorn Ram Rodeo Edition. This handsome heavy duty truck is based on the Longhorn trim, but adds even more premium features. On the inside you’re surrounded by luxurious materials like the suede headliner paired with beautifully contrasted interior colors such as Black and Cattle Tan. 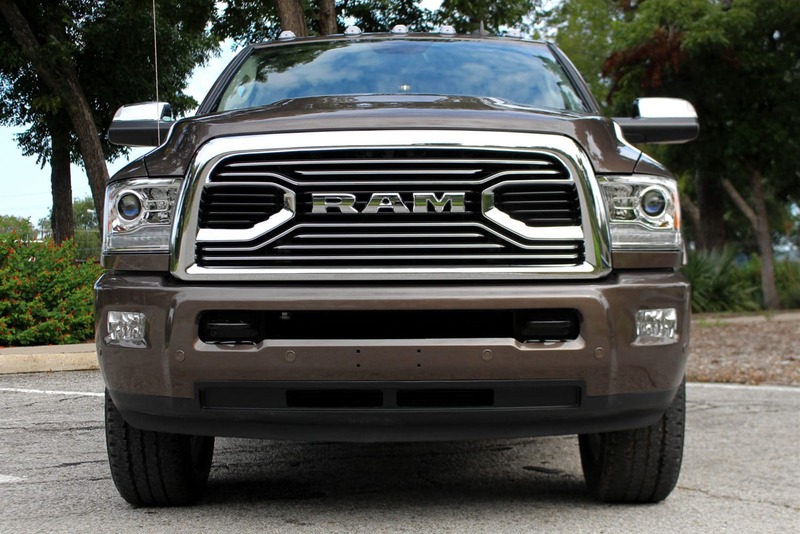 On the outside, the Ram Rodeo Edition include body-colored bumpers and side-steps. Distinctive “LONGHORN” badging stretches across the width of the tailgate against available RV Match Walnut Brown, Brilliant Black Crystal, Bright White, Pearl White, Delmonico Red or Granite Crystal Metallic (monotone only). Standard are 20-inch aluminum wheels with optional painted pockets on Ram 2500/3500 single-rear-wheel trucks. Ram 3500 dual-rear-wheel trucks receive 17-inch polished aluminum wheels. The Ram Rodeo includes a 5th wheel/gooseneck trailer prep package and bed-view camera to provide owners with a factory solution for heavy trailers and deliver a clear view to align with the hitch point. The Longhorn Ram Rodeo also features Ram’s exclusive rear air suspension for comfort and expert load-leveling when hauling payload or trailer. Rounding out exterior features, the addition of a Mopar bed step and Ram’s skid plate protection group will remind owners that although luxurious, the Ram Heavy Duty Longhorn Ram Rodeo is very much a pickup ready for work. 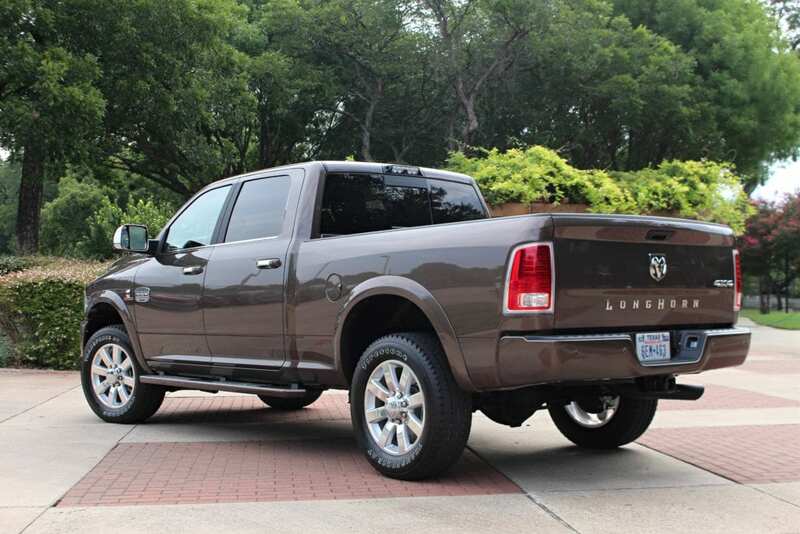 The Heavy Duty Longhorn Ram Rodeo Edition is available in Crew Cab and Mega Cab, 4×2 and 4×4 configurations. Standard 6.4-liter HEMI® V-8 or optional 6.7-liter Cummins Turbo-diesel I-6. The new Ram Heavy Duty 2500/3500 Longhorn Ram Rodeo will be available in the third quarter of 2018.